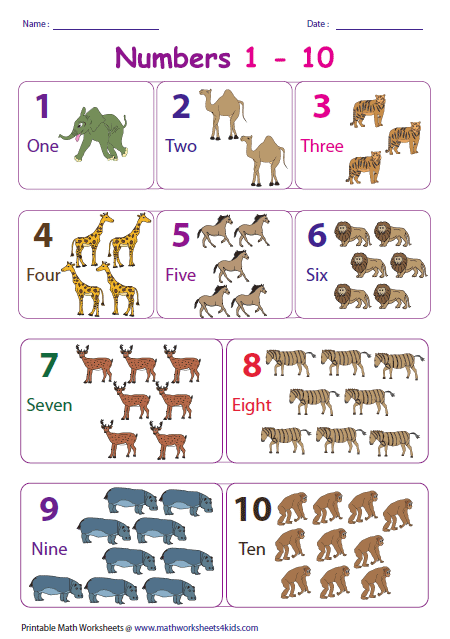 We have a wide range of number charts that help both parents and teachers in training their kids by teaching them the counting numbers. This page contains printable picture charts, display charts, posters, partially filled charts, blank charts and more. We have created a lot of themes to capture the eyes of early learners; it drives the passion in learning numbers. Each chart displays numbers and picture representation to show the numbers. 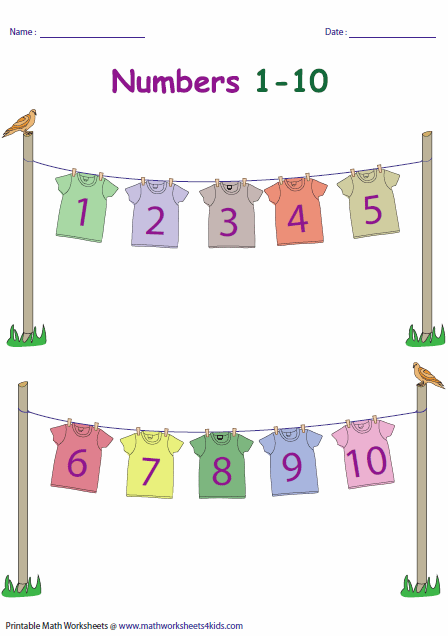 Parents and teachers can use these charts to teach numbers and counting. Each chart has unique theme. Charts are available in both colors and black-white. Each display chart has a beautiful theme that drives interest in learning numbers. Download the poster you want and paste it on the walls or pin board. 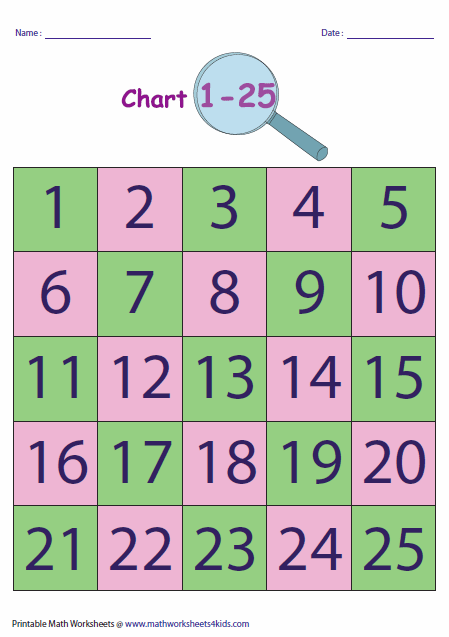 Simple printable charts keep the students focused in only numbers. 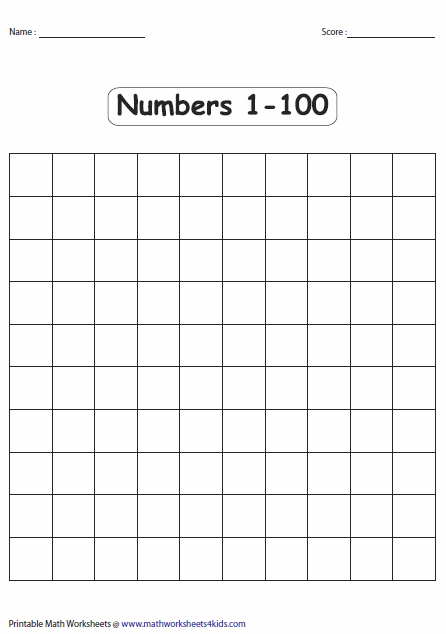 Chart book has a collection of charts displaying 100 numbers in each page. Each sheet has a chart displayed at the top and blank table at the bottom. Read the number and copy the same at the table provided. 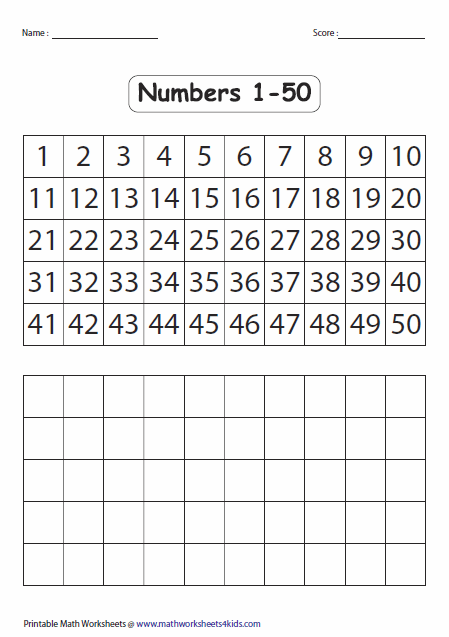 These fascinating sheets help the kids in practicing counting numbers. Each number range has different theme. 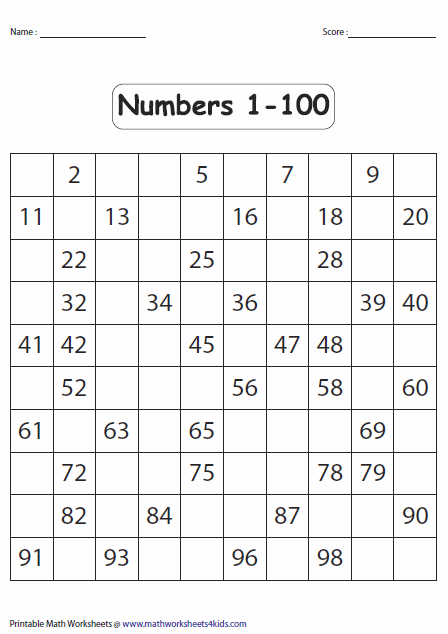 Complete the chart by filling the missing numbers. 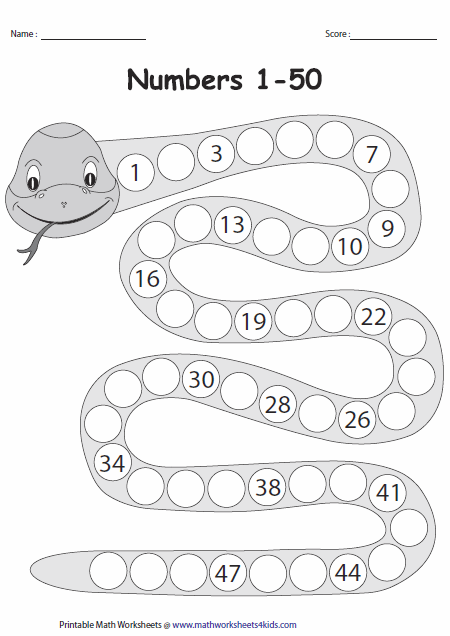 Pick up the number range you need and ask the kids to write the numbers on the chart. Parents and teachers can create their own partially filled charts using them.